Which customer do you choose? You may have noticed that my last few posts have been about customer service (this one included). Maybe it’s because I’ve been getting out more, or because there are more situations that happen that I think we can all learn from. My last trip to Walgreens was a perfect example. I walked in, and like many establishments these days, the person behind the register greeted me with a “Welcome to Walgreens!”. It wasn’t particularly enthusiastic or welcoming, but that’s a different topic. To me, the issue is one of priority. While I suppose I appreciate the gesture, I wondered how the person AT THE REGISTER felt when the employee’s attention was diverted from their transaction to greet a brand new person in the store. All the time in customer service we talk about engaging the guest and building a relationship. Nothing says “I care about you” more than a self-induced interruption of your transaction so I can yell across the store to “welcome” someone else. Somewhere along the line, management said, “we’re going to greet people as they come in.” Was thought given to the CIRCUMSTANCES when that would be appropriate? Or, did they just give their employees a directive to follow all the time because they didn’t trust their employees to make the judgement call of when they should provide the ‘entrance greeting’. That’s right. They could just AMAZE you! To me, this situation also plays out when you have the same person attending to guests at the counter while they are also supposed to take incoming calls. The phone rings, and the person stops helping you to answer the phone. Like the automatic entrance greeting, management has made it clear that the phone needs to be answered in 3 rings or less, no matter what. So you’ve just created another self-induced interruption of the service experience. Both of these situations lead me to this question… which customer is more important? The person that’s in front of you or the person on the phone or walking through the door? And you can’t say both, then willingly put your employees in situations like these. You can’t have your cake and eat it too. But I get it, it’s cheaper to have one person doing both those jobs than to have a dedicated person at the counter and a dedicated person on the phone. Only you will be able to tell when the disjointed customer experience has impacted your sales. Or maybe it already has, which is why you mandated that everyone be greeted as they walked in… to give them a sense of welcome and better customer service. Is that working? Hmmm…. What do you think? How does this effect you as a consumer? What do you think about it as an employer or a service provider? About the author: Matt Heller is a dynamic and engaging speaker, trainer, author and coach who builds confidence, courage and awareness in leaders of all experience levels. He also likes vanilla ice cream with crunchy peanut butter mixed in. At the recent Florida Attractions Association conference in St. Augustine, I got to have some great conversations with many of the association members and vendors in attendance. One of those conversations centered around taking customer service to the “next level”, and while this person stated that he wasn’t actually sure what the next level looked like, he knew there was room for improvement. As it happened, I had an experience at the Starbucks in the hotel that might help us figure this out. I was at the hotel for three nights, and each morning I got up early, went to the Starbucks to get a hot tea, then took a walk around the beautiful grounds of the hotel. It’s a great way to do some early-morning thinking, get some fresh air, and get the blood pumping (especially since I knew I’d be sitting down most of the rest of the day). The first two mornings I would say that my experience at Starbucks was good. They took my order, instructed me where to get the tea bag, and provided an efficient transaction. The third morning, however, was different. 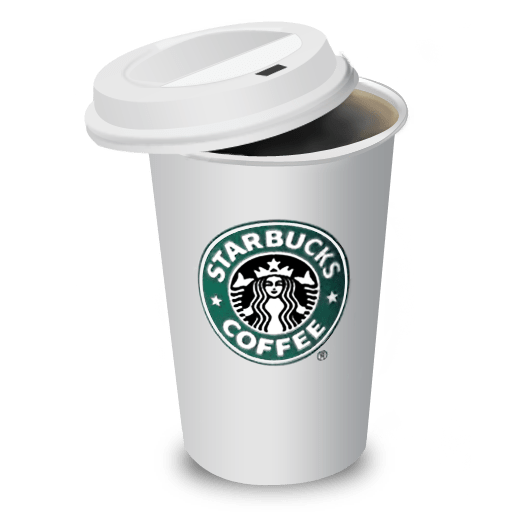 From a consistency standpoint, it was above and beyond the first two days, however some may argue that it may have just been what Starbucks is looking for as the standard. When I ordered my tea the third day, the Barista let me know that it actually included two tea bags, and if I wanted to use them now fine, or I could take one of them and use it later. This is something that the Baristas did not mention the mornings before. He then asked if I had any exciting plans for the day, to which I answered that I was simply driving home to Orlando. This led to the inevitable conversation of backed up traffic on I-4, which is an all too common occurrence in Central Florida. Ultimately, this transaction was much more personal, while just as efficient as the other two. Guess who got a bigger tip in the tip jar? To me there were really two things that set this interaction apart from the two previous mornings. First, he offered additional information, in the form of letting me know that my order actually included two tea bags. Second, he asked a question that allowed me to give him some bait. In a previous blog post, I mentioned how important it was for service providers to “take the bait” that customers provide them in order to make a more personal experience. When I mentioned driving to Orlando, he definitely took the bait to make the conversation much more personal. In terms of taking customer service to the next level, it probably didn’t take that much more effort for this gentleman to ask me those questions and to provide the information. But something was different about how he did his job and why he did it the way he did compared to the other Baristas. Paying attention to the small details of the conversation allowed the third Barista to engage in a person interaction. On the other hand, this was actually INCONSISTENT with the other two Baristas, making me question how often I would get this level of service. “Sporadic” is not how you want people to describe your excellent service. The goal should be to CONSISTENTLY provide GREAT service ALL THE TIME! That means every encounter, every employee, every interaction. Is that easy? No. Is it ‘next level’? Yes! Are all of your employees providing knowledgeable and personal experiences for your guests on a consistent basis, or is the service experience hit or miss? Had I not experienced this Barista on the third day, I probably wouldn’t have thought that the first two did anything wrong. And while they probably didn’t do anything wrong, they also didn’t do enough things right to take their service to the next level. What does next level service mean to you, what does it look like for your customers? If you can’t explain in specific terms what this will look like to your employees, it will be very difficult for them to deliver that to your guests. Leave a comment about what “next level” looks like to you – would love to hear your thoughts! About the author: Matt has added “conference exhibitor” to his resume. The FAA conference in St. Augustine was his debut. The P.O.C. pens were a hot item! About the author: Matt recognizes that all “bait” we hear from our guests is not created equally. Some bait is intended to goad you into an argument or to take advantage of a situation. That’s not the bait we’re talking about. That bait should be left on the hook.